Brazilian journalist Claudio Weber Abramo, aged 72, died on Aug. 12 in São Paulo. A mathematician by training and a Master in philosophy, Abramo has been celebrated by his colleagues and friends as a pioneer of data journalism in Brazil and for his unshakeable defense of transparency and access to public information. “Abramo's career in journalism was mostly dedicated to an obsession with precision and accuracy and to a tireless fight against corruption and in favor of transparency. He became a pioneer and a champion of access to public information," said Rosental Alves, director of the Knight Center for Journalism in the Americas. In June, Abramo was one of four instructors to teach a free online course to more than 2,000 students about covering the upcoming October elections in Brazil. Journalist Luiz Fernando Toledo, a reporter at newspaper Estadão and participant in the MOOC taught by Abramo, used the instructor’s tool, Datascópio, for a report on congress members’ spending on services from campaign donors. “I also cannot fail to mention that, if today I can produce many reports using the Access to Information Law, it was thanks to his fight for journalism," the journalist added. Abramo was an economics editor at Folha de S. Paulo and executive secretary of Gazeta Mercantil's newsroom, as well as a journalist for other publications such as Valor Econômico, Abril Cultural and IstoÉ, according to Poder360. In 2000, Abramo co-founded Transparência Brasil, an organization dedicated to access to information and fighting corruption. He was the NGO's executive director until 2015, when he became the vice president of its Council. "We, who have had the honor of living and working with Claudio, as we called him, will be eternally grateful for the privilege of learning from one of the most brilliant figures in the country," the organization wrote on its blog. "He will always be an inspiration and reference of work and rigor." Abramo was responsible for several projects from the organization that sought to use public data to monitor the performance of authorities of the Executive, Judiciary and Legislative branches. One of them, Excelências, an online database with information on judicial cases and parliamentarian performance, won the 2006 Esso Award for Best Contribution to the Press. In a statement, Abraji lamented Abramo’s death and said that the journalist "was one of the most important articulators of the drafting and approval of the Law on Access to Information, sanctioned in 2011." 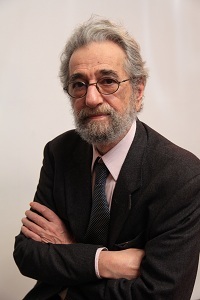 The entity recalled that in 2015 Abramo received the Abraji Award for Contribution to Journalism, representing Transparência Brasil, and highlighted an excerpt from his speech on the occasion: "Whoever works with this subject, information, has a fundamental commitment, and only one, that is with the public. No commitment to boss, with friends. It's with the audience. Whoever communicates information has a duty to do this in the most comprehensive and precise way, in order to — as the word says — inform the public in an adequate, correct way, not painted by personal opinions." "A rigorous disseminator of rights and truth. He honored his surname and profession as few have done. We journalists and society as a whole owe a lot to him. Thank you, Claudio." "We lost someone who the country does not know how to calculate the size of the loss. Because he never made a point of being recognized. He’d only need to have been more flexible for that to happen. But he never agreed to give in. And he did very well for himself! " "We have lost a fighter for the best causes and a friend of good journalism, Claudio Weber Abramo will always be an inspiration for those who fight for democracy, transparency and the correct application of public resources. In Abraji, the flags he has defended are still raised." "At a time when stupidity, a lack of empathy, polarized positions, and especially, foolishness about integrity and anti-corruption is widespread, remembering Claudio and reading things from him is a balm. Not only did he bring rationality to the anti-corruption agenda, but he always connected that agenda with the theme of inequality." "Claudio's persistence throughout the process was fundamental for the law [of access to information] to be approved. He was a person of rare, objective, direct intelligence. He had a great passion for journalism, always willing to help good causes. (...) It was a privilege to live with Claudio. He will be sorely missed, but he will continue to inspire me and all who believe in good journalism."